Here's a sampling of some of the places we've stewarded in Claremont Canyon. Wooden planks become natural crossings over springtime rivulets that flow to Claremont Creek and on to the Bay.. Working with the University of California, the landowner in upper Claremont Canyon, the Conservancy builds and maintains a network of trails for wildfire safety and public enjoyment (read about it here). With guidance from the California Native Plant Society, we pulled and bagged an invasion of yellow starthistle that threatened a pristine native plant area of the canyon (read about it here). Returning yearly, we keep this invasion at bay. Workshop leader, Lech Naumovich, teaches the group how to transplant native cowparsnips. 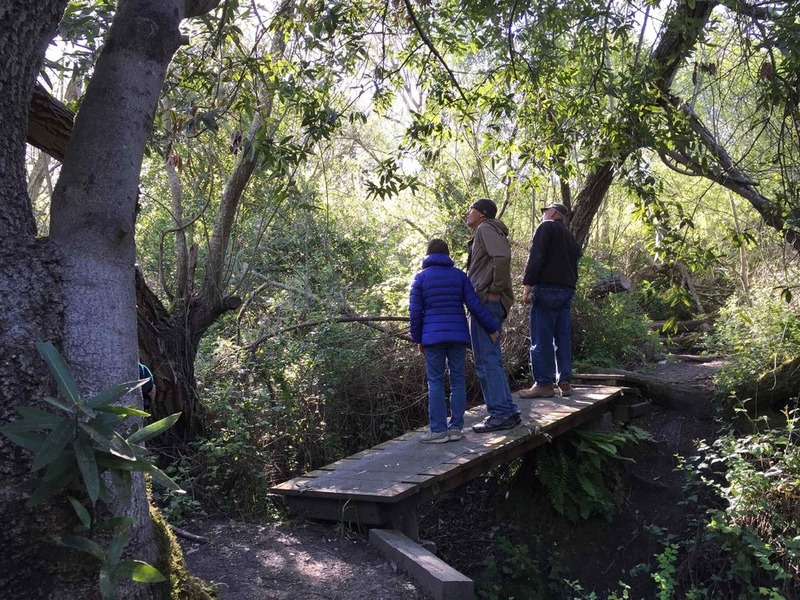 Partnering with the Garber Park Stewards and the City of Oakland, the Conservancy sponsors workshops and stewardship events in Oakland's picturesque, 14-acre John Garber Park at the foot of the canyon (read about it here).